Student financial aid offices across the U.S. need to be vigilant about their SCRA student loan interest rate compliance in accordance with the Servicemembers Civil Relief Act. Student loans have been in the news more than ever during this last campaign cycle. Various candidates called new attention to what many call “crushing” student debt. Young people everywhere are graduating from college owing tens of thousands of dollars for their degrees. The average interest rate on student loans ranges from about 4 percent to about 7 percent, depending on several factors. But the SCRA limits interest rates on most loans to 6 percent for active-duty military members. Therefore, any financial institution lending money must comply with these regulations or risk facing fines and other penalties. According to a recent Government Accountability Office report, many eligible for this interest rate cap are not benefiting from it. The GAO says this is partly due to poor communication among institutions. In 2014 the government fined a leading consumer bank $97 million in 2014 for unlawfully charging interest rates in excess of 6 percent to active-duty military personnel with student loans. After that, SCRA student loan interest rate compliance soared. Previously, the onus had been on the military members themselves to request the reduced rate. Further, they had to provide proof to banking institutions of their military status. More recently, the Department of Education enacted a requirement for those who serve as middlemen between the banks and the students. These middlemen must automatically run a check for each applicant through a system that taps into the Department of Defense’s Manpower Data Center. But students borrowing directly from private institutions still had to supply proof of their military status. No requirements to run these checks existed for banks, credit unions and other private lenders. Moreover, if the students did not understand the ins and outs of the law, they were at a further disadvantage. 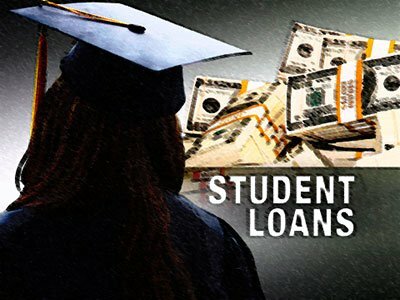 The GAO reported that the Department of Defense sometimes provides erroneous information, claiming the student loans are not covered by the SCRA. The DOD denies this but has taken great strides to improve the DMDC database and implemented significant updates in 2016. The most recent update is the printing of the last 4-digits of the individual’s social security number and the MMYYYY of the date of birth, to help lenders make sure that the verification matches the individual. The new GAO report recommends the government require these institutions to perform these checks, thereby guaranteeing all applicants the same chance at receiving the lower interest rate. The Department of Justice endorsed the GAO report. The Consumer Protection Financial Bureau agreed that servicemembers should automatically receive the 6 percent rate. Both these institutions oversee different facets of the private loan industry. SCRA Student Loan Interest Rate Compliance has morphed into a requirement that the lenders and servicers be proactive. Changes to regulations as a result of the GAO report could come at any time. It’s important for lenders to stay abreast of these changes. But these institutions can protect themselves by doing their due diligence to comply with these regulations. Trusting a private source like the Servicemembers Civil Relief Act Verification Service assures you — and the DOJ — that the military status information you are relying upon is accurate. It is relied upon by lenders, attorneys, and student loan offices as the preferred resource for complying with the SCRA. SCRACVS supplies timely documentation of an individual’s military status. As opposed to the DMDC, the SCRACVS does not require the debtor’s social security number and can supply notarized affidavits. Don’t wonder if your data is accurate and whether you will be subject to fines and restitution payments. Depend on the SCRACVS.